Starting on the 8th October – this marks the start of the Fifth Global Symposium on Health Systems Research; a full and diverse programme addressing the theme of ‘Advancing health systems for all in the SDG era’ from 8-12th October in Liverpool, UK. This conference is hosted by Health Systems Global. With both of our editors-in-chief, Sandra Mounier-Jack and Virginia Wiseman, and many of our section editors in attendance, Health Policy and Planning (HPP) have several activities and resources to point to, taking place in honour of this week’s theme and beyond. 1.We will have a booth with Oxford University Press in the conference centre. You can find us at booth 60 and come to us to check out our recent materials including our Achieving integration for stronger health systems: lessons from integrating sexual & reproductive health and HIV services supplement led by Dr Susannah Mayhew (LSHTM) and Experiences of African health system leadership and its development supplement led by Prof Lucy Gilson (University of Cape Town). 2. We have a pre-read article collection for the conference available online. This collection of articles explores the key themes of the Fifth Global Symposium on Health Systems Research highlighting key research in relation to Sustainable Development Goals, universal health coverage, and health systems. 3. 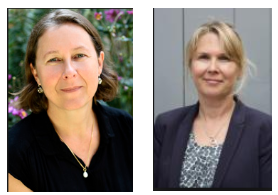 We have organised a ‘Meet the Editors’ session to take place during lunchtime on 10th October at booth 60 – please feel free to come along if you wish, Sandra and Virginia will be answering author queries and you may also discuss our open call for papers, in collaboration with Health Systems Global. 5. Our Co-Editor-In-Chief, Dr Virginia Wiseman is also taking part in a skills-building session on Innovative methodologies for global health systems strengthening. An introduction to two major areas of health systems and policy research: equity analysis, and implementation design and evaluation of complex interventions. Participants will gain an understanding of approaches that go beyond typical frameworks and are mindful of the political, economic, social, and cultural sensitivities involved in health system reform. Taking place on Tuesday 9th October in Exhibition Centre Room 19 at 1pm. Please also feel free to come and visit our booth in the exhibition hall – number 60 – we look forward to seeing you there! Follow the conference hashtag using #HSR2018 and follow @HPP_LSHTM for more conference and journal related updates! « Cash support: a new tool to decrease Intimate Partner Violence?